The strength of Raney & Associates lies in our ability to effectively manage our client's relationship with the State & Federal Government, to make sure Government works for them. The actions of our State & Federal Government affects everyone. The work of Congress, the Federal Agencies and the White House impact all organizations, Big and Small. From global corporations to community-based non-profits, dealing effectively with Federal Policy and Florida Policymakers is no longer a luxury - it's a necessity. Understanding the increasing importance of effective Government and Public Relations in Government is what led the founder of Raney & Associates to start their firm. Their philosophy was simple: Offer clients an unmatched level of service and make Government work for them!! 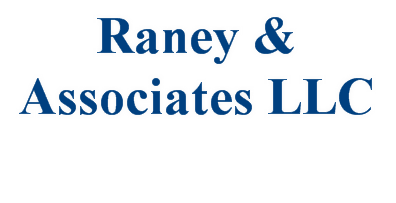 Raney & Associates monitors activities on State levels & Capitol Hill with specific focus on legislation and policies related to our clients’ interests. Raney & Associates can help you formulate a plan that meets your short-term needs, while positioning your organization to achieve its long-term goals.Our mission is to work closely with clients to assess and evaluate key political risk and opportunity factors that enable us to define and establish primary objectives. We also develop and execute a comprehensive strategy to achieve those objectives. This is accomplished through advocacy directed at the critical decision-makers within The State of Florida & Congress and Federal agencies and departments. We try to organize, coordinate and manage effective Relationships while also gaining the favor of the community. “If you live by the sword, you may die by the sword, but if you live by the olive branch, you may still die by the sword." "There's no guarantees in Life. However, nothing Ventured nothing Gained!!" Successful business development always includes political components. So you think you don't need a Lobbyist! Remember it isn't what the government can do for you! It's what they can do to you!